Featuring a slanted rim, these CAC SHER-B9 Sheer 26 oz. 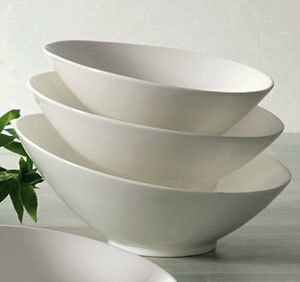 bone white porcelain salad bowls will add a sophisticated and contemporary ambiance to any tabletop setting. They are perfect for serving soup, salad, or even pasta.